Best Professional Carpet Cleaning and Drying in Boulder, CO 80301. By Ken Strid, Cleancare of Boulder. For more articles like this, go to Interesting Articles for You. Well, carpet cleaning companies are the same, in that regard. Some keep up with modern technology and training, while others try to keep their antiquated equipment together with duct tape and chewing gum leaving you with sopping wet, smelly carpet and an oil slick in your driveway. For years, carpet cleaners have been leaving soaking wet carpet behind at every job, forcing their customers to tread carefully in their own homes and up to a week to replace their furniture. Sure the carpet is clean (maybe), but customers can’t really enjoy it for hours (or days) after they leave. But it’s just the nature of carpet cleaning, right? WRONG! By the time Cleancare leaves your home, you could have a house full of clean, dry carpet! 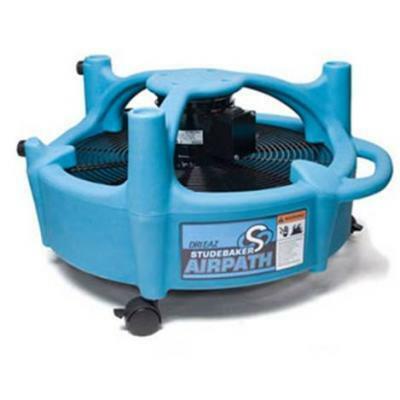 It’s possible thanks to the Dri-Eaz AirPath, our incredible air mover specially designed to dry carpets fast. The 360° outlet grill blasts 40 mph of warm, dry air straight down and across the entire carpeted surface, allowing us to dry carpet in one room while we move on to clean the next one! See How these drying beasts work here (part 1) and here (part 2). With a patented 360° outlet grill design, the AirPath pulls warm, dry air from your ceiling area and directs it across the entire surface of the floor at once – up to 12 feet in all directions. We move these high tech marvels all around your home on their wheels for the fastest carpet drying you have ever seen. Not all professional carpet cleaning companies have these machines in their arsenal. There are many reasons for this. : They make the cleaning job take a little longer, since a technician needs to wheel them around the home while he cleans. They are not cheap for a cleaning company to purchase– high quality machinery never is! Bargain basement companies (you know them as the $9.99 per room company) don’t include anything extra in their cheap cleaning package– all you get is water and a half hearted vacuuming, usually. Some are just lazy. Some are uneducated and have no idea that drying carpet is important. Some just don’t care! Our clients DO care. They expect the highest carpet cleaning quality possible and to be able to use that carpet again in a reasonable amount of time. We care too. We perform the most thorough cleaning on the planet and leave you with a carpet that is useable the same day of our cleaning service– usually within 2-4 hours! Give the Best carpet cleaning company a try. You’ll see a clean difference and won’t be left with a soggy, wet and smelly mess. See the difference we can make at Cleancare of Boulder.